Last summer, a team of scientists at Yale dreamed up blueprints for the world’s first anti-laser (a device that absorbs amplified light rather than emitting amplified light). It's great to come up with an idea, but it’s an entirely different thing to make the idea work in real life. Yet, the latest issue of Science published that Yale scientists have created a successful light-absorbing device for specific wavelengths, in the near-infrared range. 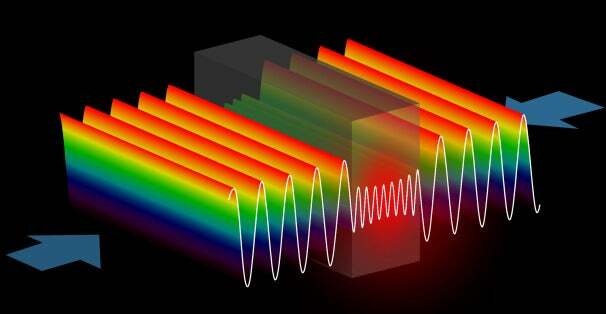 While lasers usually emit light from one or two ends of a device that amplifies photons until they produce electromagnetic radiation, the anti-laser or “coherent perfect absorber” points two lasers of similar wavelength at each other with a very thin slab of silicon in between them (silicon usually absorbs about 20% of light directed at it). The laser’s beams then canceled each other out in the absorbent silicon, where the light was turned into heat.